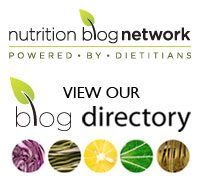 One of my friends, a fellow dietitian, alerted me to the Charles Poliquin website recently. The link she sent me was to an article about the Top Ten Foods for Fat Loss. I hate lists like that. Sorry readers, there are no “superfoods”, there are no magical weight loss foods. Now I don’t really take exception to any of the foods included in the list per se (i.e. cold water fish, nuts, whey protein, berries, avocados, cruciferous vegetables, eggs, coffee and green coffee extract, kimchi, vinegar). Okay, so I’m not down with the green coffee extract and I think that the “whey” could be omitted and replaced by protein (no, this does not need to be in the form of a supplement, most of us get more than enough protein from actual food). Besides these minor quibbles, I think that these are all great foods to include in a healthy diet. What I take exception to is the statement that they’re all essential to “fat loss”. This article would have the reader believe that by consuming these foods you’re going to lose weight. No necessarily. Even if you consumed only these foods you could quite easily stay the same weight, or even gain weight. How much you eat and when you eat both need to be taken into consideration if you want to lose weight. Following a list of 10 foods is not necessarily going to reduce your body fat. 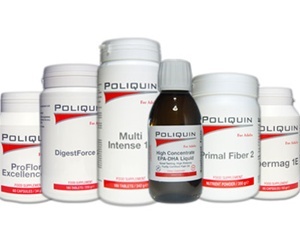 A little bit more about the website: Charles Poliquin is a strength coach who founded the company Poliquin Performance. They have strength coaches, facilities, and a line of supplements. Through their website you can obtain online certification as a personal trainer (apparently with nutrition and supplement expertise despite no evidence of involvement of nutrition professionals on the site). Yep, that’s right, you can obtain the certification without ever leaving your home. Now, I don’t know about you, but I certainly wouldn’t want to work with a personal trainer who had no hands-on experience and no in-person training. I also wouldn’t want to receive training or nutrition advice from someone who was part of a “rewards” program. The more supplements a “practitioner” purchases the more points they earn. Unfortunately, in the nutrition and fitness industries there are many people with less than optimal qualifications who are more than happy to take your money and dole out unsound advice in return. Be wary of credentials and if you’re unsure, do a little research for yourself to make sure that you’re choosing a professional with the appropriate education and qualifications. Tags: Charles Poliquin, fat loss, nutrition, personal training, supplements, weight loss | Permalink.